When I’m doing content analysis on GOV.UK, sometimes I need to analyse page level data which is not tracked through analytics software but still represents valuable information. In these circumstances I use the ImportXML feature in Google Sheets which enables me to extract (‘scrape’) specific page data. Scraping this information enables bulk page analysis. However as the last updated information has no metric to track within analytics software, I used the ImportXML function in Google Sheets. My results can be found in this spreadsheet using an example of the pages that I was interested in. The location of the last updated information is consistent across all of the pages I wanted to analyse. This is handy as ImportXML requires you to identify the XPath of the specific piece of data you want to scrape. Therefore once I was able to identify the XPath of the last updated information on one of my pages, I could implement it into the Google Sheets formula and then apply it to all of the URLs I was interested in. Using Google Chrome, the XPath of specific page data can easily be found by highlighting and then right-clicking on it and then selecting ‘Inspect’. Firefox users can get XPath data from the Firebug add-on. Right click on page to bring up the Inspect option in Google Chrome. Clicking ‘Inspect’ opens up the elements console and highlights the section of the page that I am interested in. Below we can see the console has identified where the last updated information resides. The Elements console highlights the selected page section. The console allows me to scrape the XPath of the last updated information by right-clicking onto highlighted section, selecting ‘Copy’ and then ‘Copy XPath’. 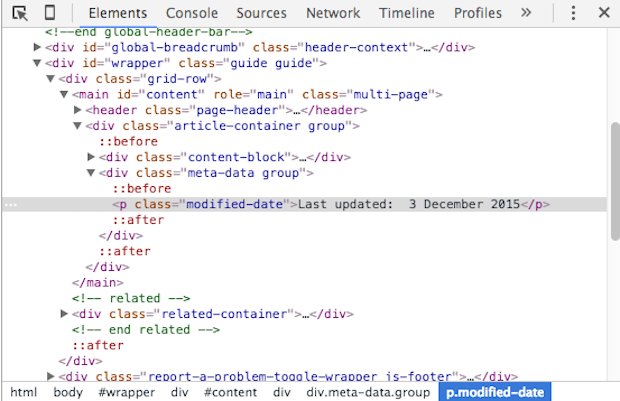 Google Chrome enables you to copy XPath directly from elements console. I pasted the copied XPath from the Chrome console and hit enter to get the cell to show the scraped date information on my spreadsheet. ImportXML scrapes data exactly as it is represented on page. 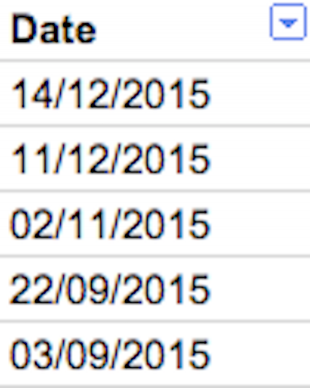 MID function allows us to specify and return the date alone from last updated information. DATEVALUE function helps convert the date string from last updated information into a sortable date value. Now we are able to sort the pages by most recent update. I can use the last updated information in other relevant Google Sheets based analytics dashboards to monitor content performance following an update etc. We're keen on hearing about your experiences of using ImportXML with Google Sheets. Please share any tips and examples you may have in the comments below. Vin works with performance and communication analytics on GOV.UK content at GDS. The structure is the same, but the details are wrong. Is this a Chrome version thing or what? I've installed a Chrome plugin called ChroPath. What you are looking for is the "rel XPath" rather than the "abs XPath" which Chrome now gives you. It set me in the right direction. I have also added some script to run the import automatically every hour, then added in script to show last update time. B2 is the web address reference, C2 is the Xpath, D2 is where i put the result. 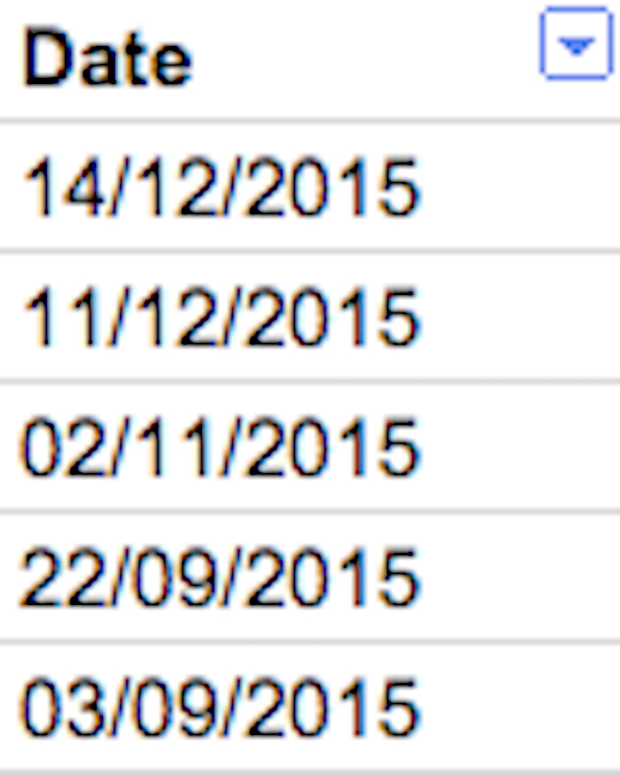 does this formula's fundamentals also work when the date modified field is part of a meta / dublin core tag? Hi Vinith, thank you for the article. Great peace of advice as always. How do you overcome the problem of constant "Loading" or not proceeding the formulas in Google Spreadsheet at all? Do you have any remedy to that if lets say one wants to gather data from 1.000 URLs?